Every year in the middle of the Spring semester, thousands of students gather on Johnson Field to relieve the stress of impending finals. Because of this stress-relieving and guaranteed fun event, The University of New Mexico’s Fiestas continue to be a staple on campus. This year, ASUNM’S Student Special Events hosts Fiestas 2019, the annual music festival on Saturday, April 6 from 12 to 9 p.m. on Johnson Field. UNM Fiestas, which is free and open to the public, is one of the largest music festivals in New Mexico and one of the most popular student events at UNM. 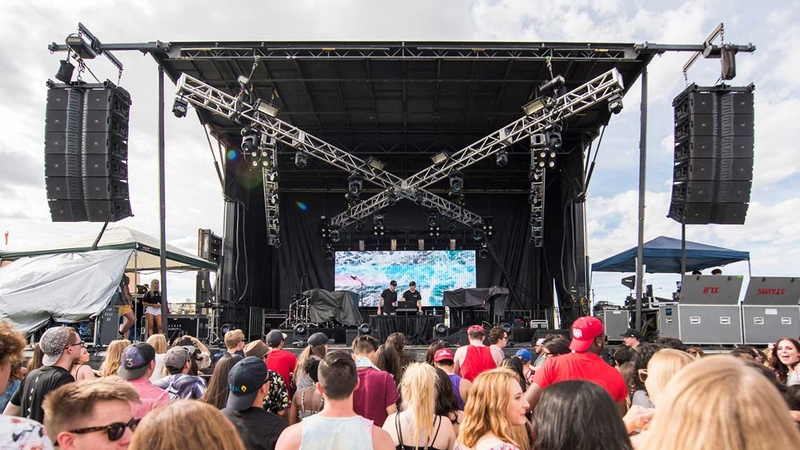 This year’s lineup includes a variety of artists including some well-known headliners such as including American electronic dance music DJ and singer Ookay, critically acclaimed rapper Boogie and up-and-coming rapper Jandro. Other artists include Red Light Cameras—an Albuquerque-based band that plays soulful garage pop—and The Millennial Club—an indie pop group out of Los Angeles. 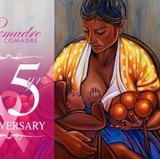 UNM’s Fiestas dated back to as early as the 1960s and initially started as a three-day rodeo. Over the years, it has morphed into a 10-act music festival including games, food vendors serving up a variety of goodies including ice cream and tacos. For more updates on Fiestas 2019 and to see the full line up and set times, follow @asunm_sse on Instagram. 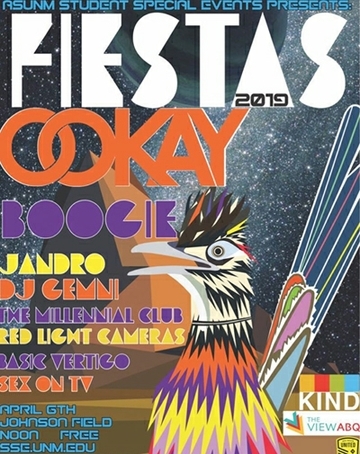 Fiestas 2019 is sponsored by Kind Bars, New Mexico United and Valley View Villas.